Our staff return rate is exceptionally high. 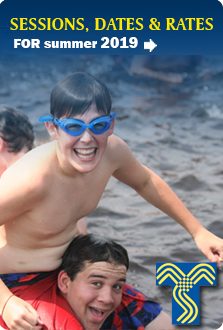 Over 95% of our staff have been campers at Tawingo themselves and wish to provide to our current campers the same sort of wonderfully positive experience that they themselves had as campers. They are chosen for their inspirational laedership skills. We invest a tremendous amount of energy and resources in the training of our staff. Office - An Office Manager supervises three Office Staff and works with the Camp Registrar, Business Manager, and Transportation Staff. 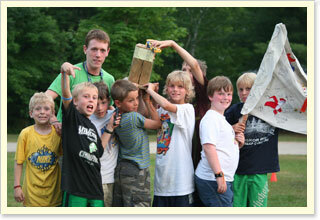 Program Areas - We hire a wide variety of Program Staff (Directors and Assistants) for the various program areas of Camp. There are 13 Circles in camp. Each Circle consists of four cabins of campers all within a 1-2 year age difference. There is also a Day Camp which operates throughout the summer. Responsibilities are numerous but the primary job involves supervising 7-9 campers in a cabin or a Day Camp Activity Group. Please read "What is a Counsellor" in this section of the website.